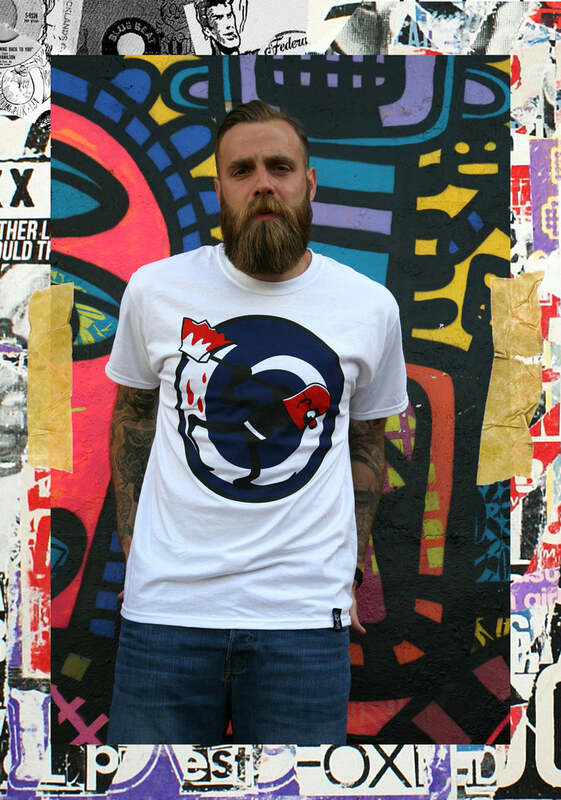 As with previous releases you can expect high quality t-shirt graphics, printed on the finest quality garments using the best water based and discharge inks. 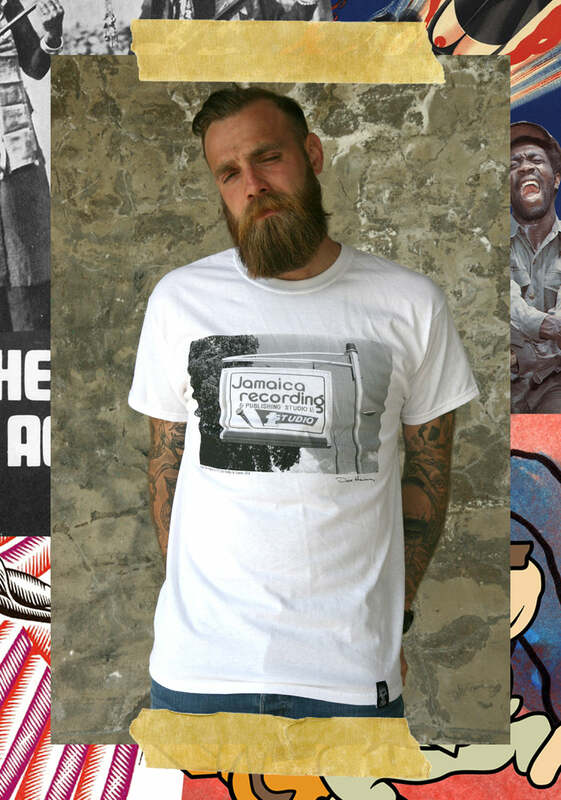 This season sees Creation releasing a couple of collaborations, one with Punk Art Collage surrealist legend Winston Smith of Dead Kennedy’s fame and legendary Reggae photographer Dave Hendley. 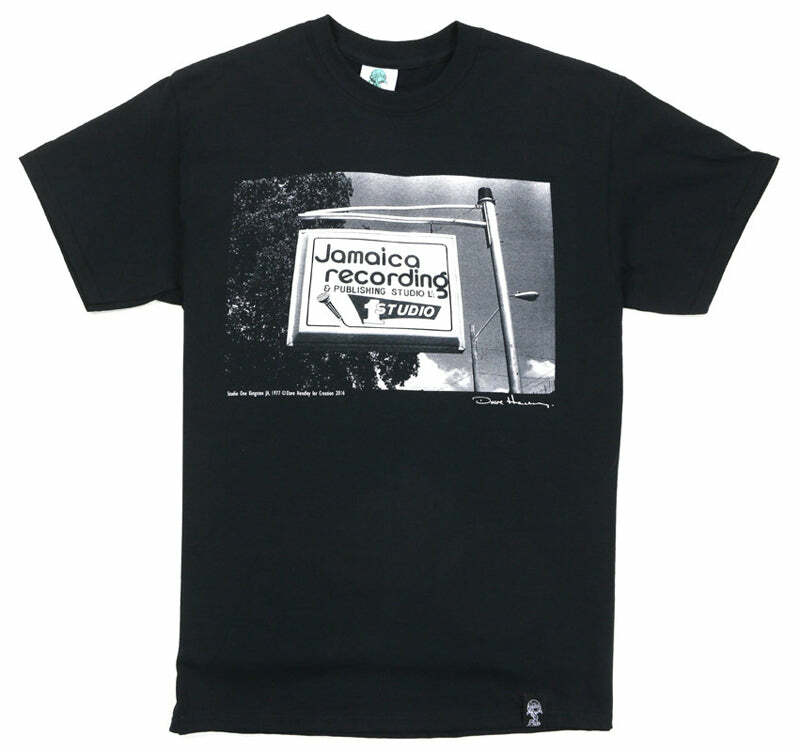 The first up is the “Studio One” tee with Dave Hendley, a Reggae photographer, journalist and compiler based in the South of England. Dave started writing for Blues And Soul Magazine in late 1976. In 1979 he co-founded the Sufferers Heights label. He was visiting Jamaica from the middle of the 70’s and took many iconic photographs of Reggae artists, a significant number of these have appeared on LP sleeves and in publications such as Blues And Soul and Black Echoes. He worked with Trojan Records from the late 70’s and compiled a number of compilation LP’s for them including six volumes of (the aptly titled) Creation Rockers in 1979 and two volumes of Rebel Music. Now he teaches photography at Central Saint Martins College of Art & Design in London. 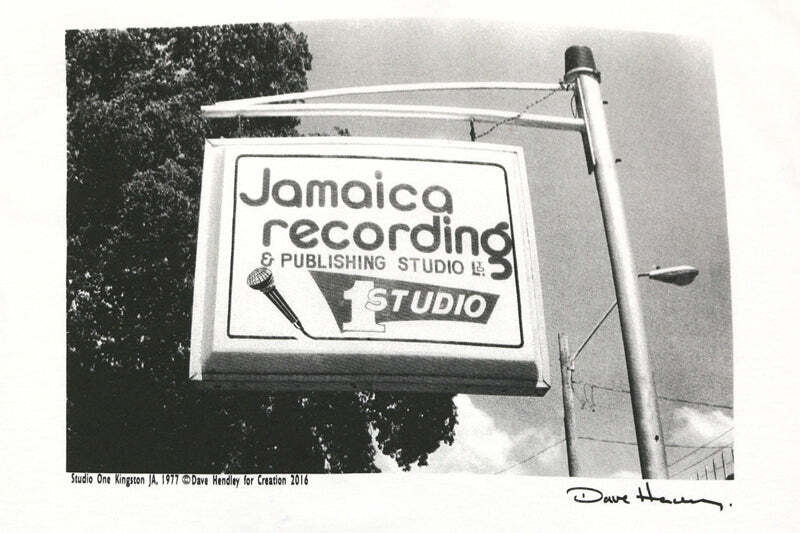 The tee itself is a close up of the sign of Studio One the infamous Jamaican Recording & Publishing Studio taken in 1977. 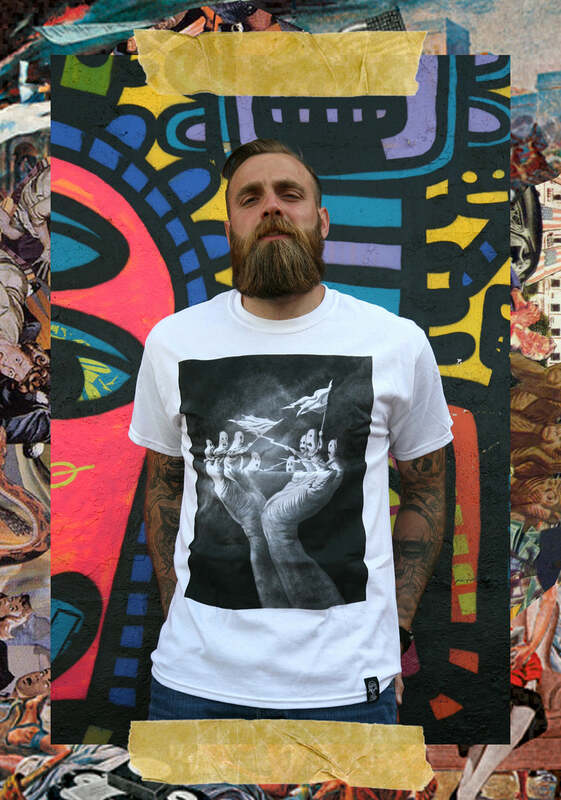 The second collaborative effort is with Winston Smith, a collage artist most famously known for his artwork for the American punk rock group Dead Kennedys. He also collaborated frequently with other stalwarts of the punk and alternative scene Jello Biafra and Alternative Tentacles. He was also responsible for the logos of the aforementioned Dead Kennedys and Alternative Tentacles as well as countless covers, inserts, advertisements and flyers. 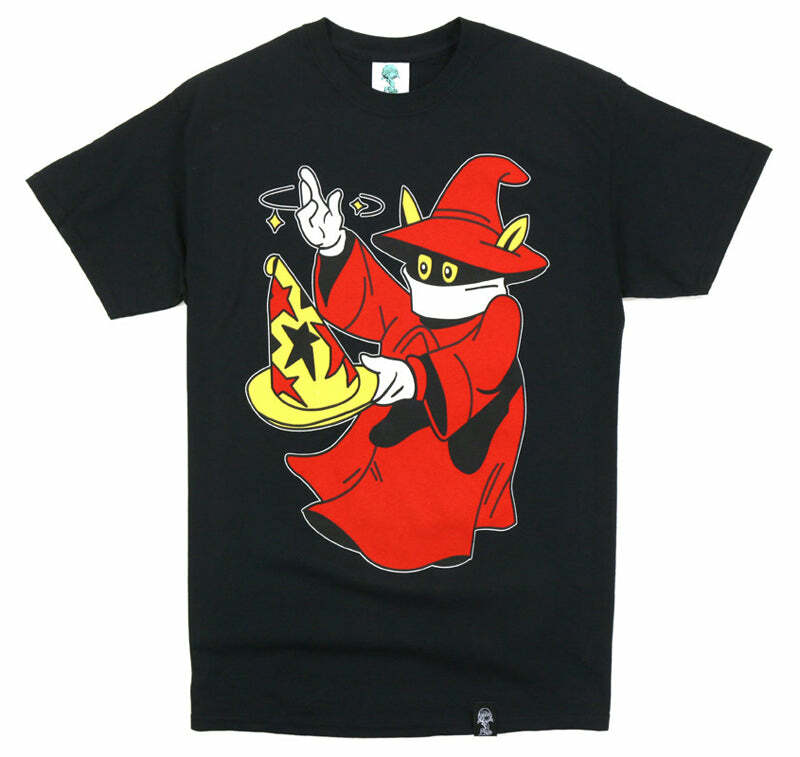 His name is a reference to the character of the same name in George Orwell’s novel Nineteen Eighty-Four. Smith left the U.S. in 1969 to study art in Italy and, struck by the profound social changes that had occurred during his absence from the U.S., adopted the name after returning to America in 1976. Armed with razor blade and a fiendish wit, Winston Smith’s modus operandi since the 1970’s has been to kidnap “innocent” images from the pages of vintage magazines and then to diabolically glue them into compromising or politically revealing positions in his surreal collage landscapes. 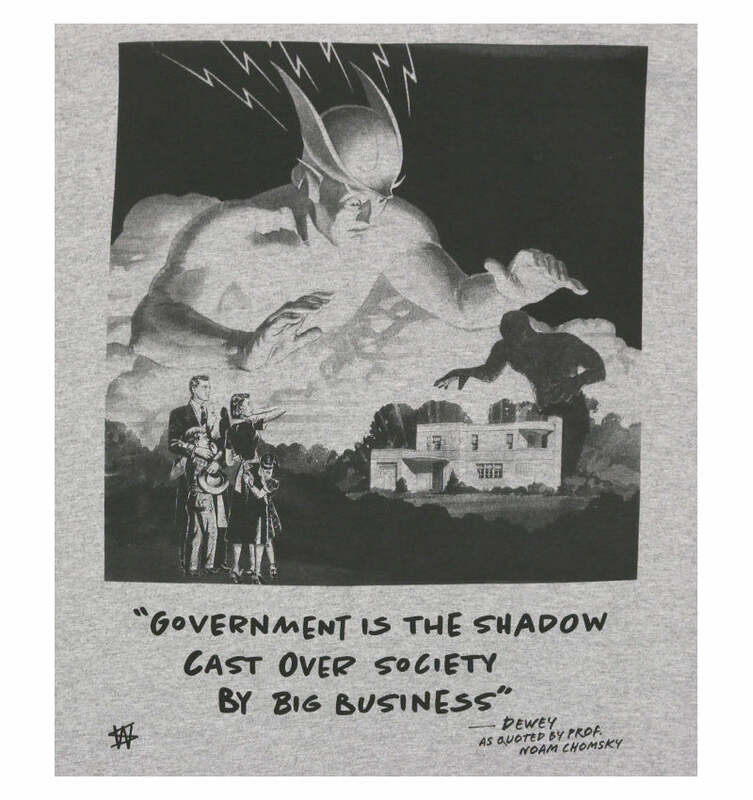 The “Government Shadow” Tee is the one featuring the artwork by Winston Smith and alongside the collage is a quote “Government is the shadow cast over society by big business” from Dewey via Noam Chomsky.